Proudly Serving All of New Hampshire and Massachusetts! If you have existing gutters in need of replacement or just built a new home and looking for gutters for the first time, 5″ Standard Gutters are what 85% of homes in America have. It is strongly recommended upgrading from a 2×3 to a 3×4 downspout for maximum efficiency. The bigger pipes and bigger outlets allow for maximum water flow and are far less likely to clog. Also available in copper. There is quite a lot to consider when determining what size, style and amount of downspouts are needed when installing a seamless gutter system. The house type, style and location have a direct influence on the design and size of the seamless gutter system. Our 6″ Gutter is ideal for large roofs with a high volume of water. 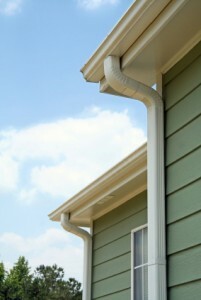 It outperforms every other gutter system, including Rain Pro. It is not uncommon for us to install a combination of 5″ Standard Gutters and 6″ K-style gutters on homes with unique situations. Unlike many gutter companies who only carry the standard 5″ gutters, Superior Gutters can custom-form 6″ K-style gutters on site as well. Our installers know how to install this higher-volume gutter system so that your home is completely protected from water damage. 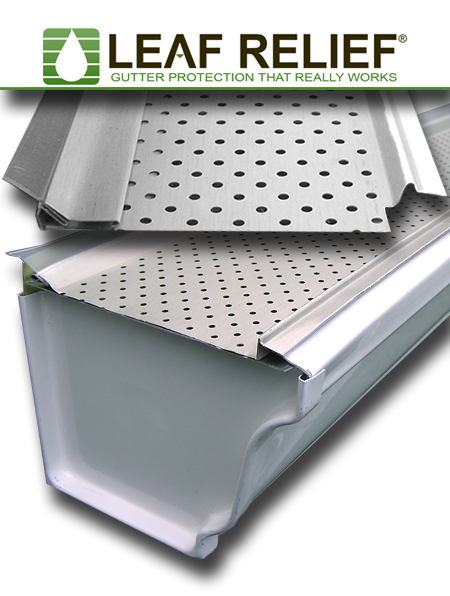 Superior Gutters is a trusted name providing affordable and effective leaf protection systems. Leaf Relief™ is by far the best gutter protection system. This is the only gutter protection system that Superior Gutters installs and supports because it is the most effective and reliable system on the market. We will only do work that provides you, the home owner or business owner, lasting long-term value. Effective for keeping out a wide variety of leaf debris including pine needles and twigs. Patented design allows water to flow freely while debris is lifted away from gutters with a gentle breeze. Made of aluminum or copper, Leaf Relief™ keeps its shape regardless of climate condition. Proven rigidity withstands ice and snow falling from the roof. Installs without lifting a shingle. Has 489 perforations every 20 inches, can drain 32.9 inches of rainwater per hour. Does NOT void your roof warranty, unlike most leaf guards. One of the only leaf guard systems that’s invisible from the ground. Drip Edge is the metal flashing that directs rain water from the roof shingles into the gutters installed on the fascia. Drip Edge is usually installed under the first row of shingles and overhangs the fascia by about an inch. On a flat fascia, the gutter would be installed under the drip edge. This is the ideal set-up where rain falls on the shingles, then the drip edge directs the water into the gutter. Builders often install a shadow board, which is a 1×3 inch board installed under the drip edge, for aesthetics. This shadow board makes it impossible to install the gutter properly under the drip edge and rain water leaks behind the gutters. This is the number one problem homes have with their gutter systems and occurs on about 50% of homes. When rain falls on the roof, surface tension makes it follow the contour of the fascia board and the shadow board. 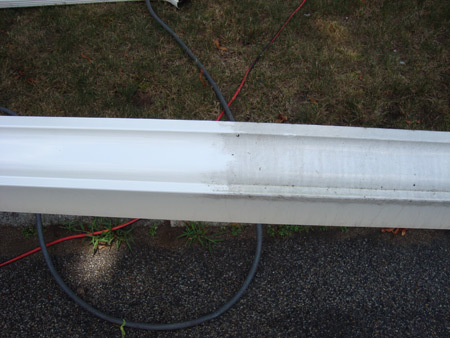 The major indicator of this occurring is black streaks down your fascia board. This can quickly and easily lead to fascia board rot. 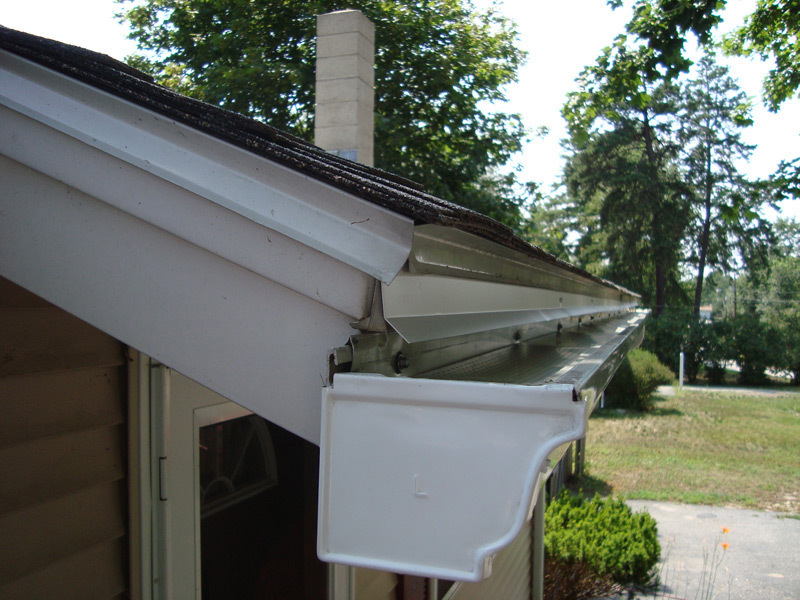 Drip Edge Extension solves the problem of water leaking behind the gutters. It slides under your existing drip edge, acting as an extension that allows the water to flow down into the gutter, and preventing rain water from leaking behind the gutter. Most gutter companies mistakenly think they can solve the leaky gutter problem by caulking the back of the gutter. What they fail to realize is that gutters and fascia are two different materials which expand at different ratios in hot or cold weather. This causes the caulk to crack. In addition, caulking the back of the gutter is a chemical seal, whereas Drip Edge Extension is a mechanical seal which is permanent and guaranteed not to fail. Another common mistake a majority of gutter companies make is that they install their gutters on the shadow board. There is no support behind the gutter, so this causes the gutters to appear crooked, and they start to sag and stop working. Our reputation is based on a dedication to quality: quality service and quality products. We carefully evaluate the details of each home, and your project requirements. An important part of the installation of new gutters, the replacement of old gutters, and leaf protection systems is the condition of fascia board and fascia wrap. In most cases, gutters are attached to what is known in the building trade as a “fascia board”, or more commonly known as “trim”. If these boards are badly weathered or rotted out, they must be replaced prior to the installation of new gutters. We recommend replacing rotting boards and replacing fascia wrap when necessary. This is one of the services we offer. Rotted wood is often found in homes that have been without gutters or that have poorly installed gutters, being the result of years of water dripping from the roof or behind the gutters. Fascia can be replaced with traditional wood lumber or with low maintenance trim product that outperforms traditional pine, AZEK, and aluminum fascia wrap. AZEK is cellular PVC that offers an unequaled combination of Uniformity, Durability, Workability, and Beauty. With the look, feel, and sound of clear, premium lumber, AZEK is the answer. Manufactured in a proprietary process, AZEK trim boards are consistent and uniform throughout…with no voids. AZEK trim products will not split, cup, rot, warp, or twist. AZEK trim products have a 25-year warranty. AZEK trim boards compliment all housing exteriors – from traditional brick or cedar shake to fiber cement and other sidings. Superior Gutters will install underground drainage systems when needed and when the customer requests it. A properly working drainage system is critical to maintaining the value of your home. Underground drainage systems prevent erosion of your home foundation, helps you avoid excessive dampness, and moisture in your basement. This can lead to mold and mildew that in some cases result in health problems and costly home repairs. What types of services does Superior Gutters offer for underground drainage systems? We install downspouts to direct water runoff away from your home foundation. Superior Gutters pays attention to the specific requirements of your home including the type of roof, corners on your home, slope of the yard and other factors when evaluating your drainage requirements. We use downspouts that are large enough to handle heavy rainfalls. The downspouts will connect to a 4 inch PVC piping system that will run underground. Ideally the PVC will run to the edge of the yard and exit off your property. In situations where this is impossible due to your yards layout, the pipe will run to an underground leech basin. At Superior Gutters we dig leech basins by hand. No heavy duty equipment is used and this helps avoid damage to your lawn, brick pavers or irrigation lines. Often times homes have older gutter systems which don’t need to be replaced but are in need of some TLC. Superior Gutters offers a gutter system tune up — a complete overhaul for older systems. 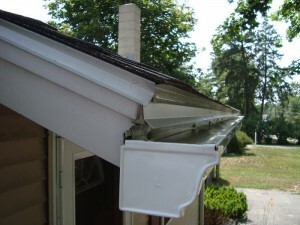 Our service crews are equipped to make a variety of gutter system repairs, including resealing all endcaps, outlets & corners, elbow and downspout reconnection & replacement, adding leaf relief to existing gutter systems, adding drip edge extension to existing gutters (to correct water passing & dripping behind the gutter), and correcting & reinforcing saggy gutter systems. 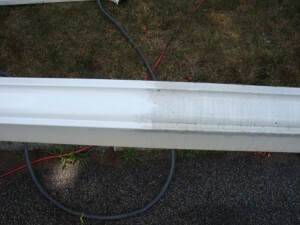 We also can clean your gutters of debris, both inside & out. Copyright © 2011 Superior Gutters. All Rights Reserved.